Janet Sue Slusher Mason age 73 of Pineville, KY passed away Saturday November 24, 2018 at South Eastern Kentucky Medical Center, Pineville, KY. She was born in Bell Co. on March 8, 1945 to the late Jess Slusher and Georgia Lockard Slusher. She had been a homemaker. In addition to her parents she was preceded in death by her daughter Lori Edmondson; husband Rufus Mason; brothers Arthur Slusher and Dwane Slusher and sister Joyce Slusher; great-granddaughter Aubree Hunter. Survivors include her daughter Amy (Tommy Brown) Thompson; son Terry (Tabitha) Edmondson; brother Jerry (Linda) Slusher; sister Mary (Mickey) Jones; grandchildren Haven Walker, Brandon Walker, Alexandria Cox Hunter, Alyssa (Brandon) Trice, Caitlyn (Lindsey) Collins and Terri (Austin) Collins; 11 great-grandchildren. Funeral services will be Monday, November 26, 2018 at Brooks-Durham Funeral Home at 2PM with Rev. Mike Liford; burial will follow in Mills Cemetery, Tinsley with Tommy Brown, Terry Collins, Jamie Reed, Troy Webb, Austin Webb and Terry Edmondson as pallbearers. The family will receive friends after 12 on Monday November 26, 2018 at Brooks-Durham Funeral Home until the funeral hour at 2PM. The Brooks-Durham Funeral Home is honored to serve the Mason family. 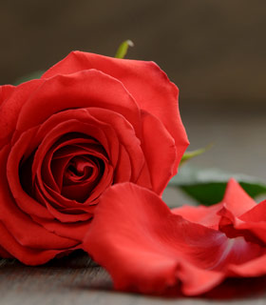 To send flowers to the family of Janet Sue Mason (Slusher), please visit our Heartfelt Sympathies Store. We encourage you to share any memorable photos or stories about Janet. All tributes placed on and purchased through this memorial website will remain on in perpetuity for future generations.